Should You Design Your Own Bathroom Vanity? Having a beautiful stylish home includes perfection in every r oom, especially the bathroom. Design your own bathroom vanity. Create your own unique style and comfort. Enjoy developing a beautiful haven in your home. From choice of materials to deciding on the final bathroom layout, there are many exciting options to truly make your bathroom your own. When you decide to design your own bathroom vanity, there are many details to attend to. What type of vanity do you need? What layout fits your lifestyle best? How many people will be using the vanity? These are just a few of the questions to ask. Is your bathroom vanity a place of luxury, or will it be a practical space of comfort? Will you be sharing the vanity with a partner, younger family members, guests, or will it be yours alone? The vanity layout needs to be functional. Choose a bathroom vanity that meets your lifestyle needs. Do you need space for multiple family members and dozens of toiletries? Then opt for efficient horizontal vanities that are stylish but also practical. 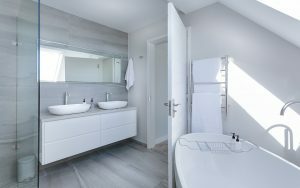 Maybe you have a little more room in your master bathroom? Other options, like the L-shaped vanity, may be your best choice. As you design the vanity, give thought to the number of sinks you want. Think both of your needs in the present and possible future needs if your household expands or you have more visitors. One sink may be adequate today, but perhaps two sinks is a better long term option. Choosing details like the color of the vanity, types of doors, or even what type of drawers you want to include in your design can be fun. Enjoy each second you spend looking at various customized options. Are you traditional? Do you enjoy vintage pieces? How much storage do you need? Do you want to try a pedestal sink, floating cabinets, or perhaps a marble countertop? As you choose the design that appeals to you, be sure to take note of the materials that you like best while also thinking about quality and durability. Finally, bring light to your bathroom with beautiful lighting, artistic accents, and elegant faucet designs. At the end of the day you will have a beautiful and original bathroom vanity design that you will love for many years to come. The urban dweller has a unique set of needs, not to mention style. Finding the perfect kitchen design ideas for your urban home often involves a little imagination, a touch of practicality, and the perfect woodworking to bring out the best in your home. 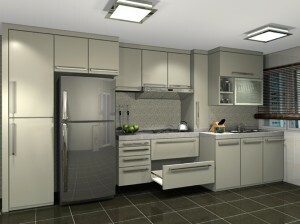 Urban kitchens are often limited in space because of apartment and condo living. Square footage sacrificed for being in the center of the city means that the savvy designer has to make the most of their kitchen. The trick is not sacrificing style with functionality. Options include opening up a kitchen space by knocking down walls and incorporating pieces that seem spacious but have hidden functionality. Monochromatic colors or white paint, adding tasteful but fun decorations, unique woodworking, and custom cabinets can also add a little bit of style without sacrificing space. Don’t forget the power of great lighting fixtures and natural light from spacious windows. Open shelving lets your flea market dishware finds and knick-knacks double as personal style statements. 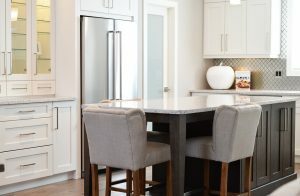 Installing an island that doubles as a breakfast table and butcher block or recessing the refrigerator into the customized kitchen cabinets creates dual purpose, saving you space and money. 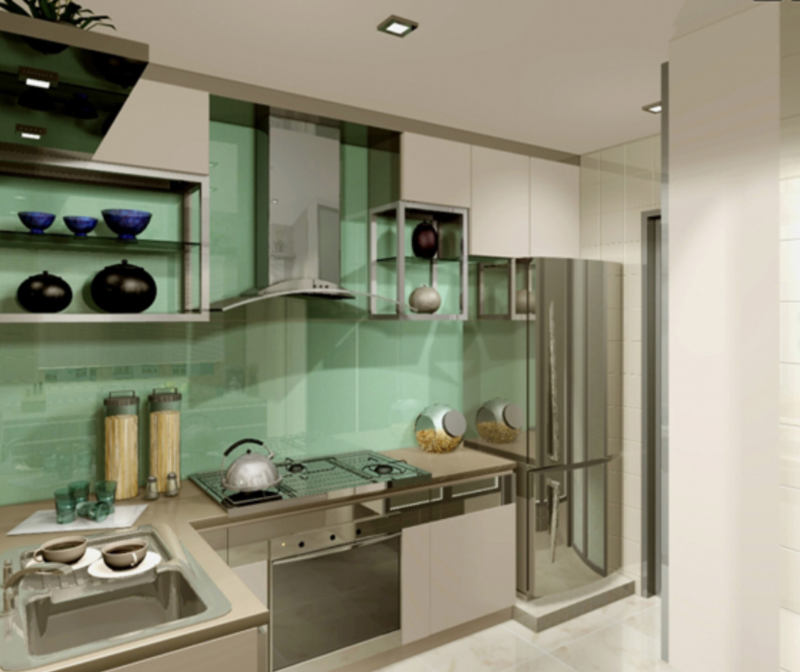 Think outside the box when deciding the perfect kitchen design ideas for your urban home. Remove unnecessary walls to engineer a little breakfast nook or maybe use exposed brick as the showcase of your industrial style kitchen. Maybe there are unnecessary fixtures, a space-hogging island, or large cabinets that detract from your apartment. It might be time to remodel your home. 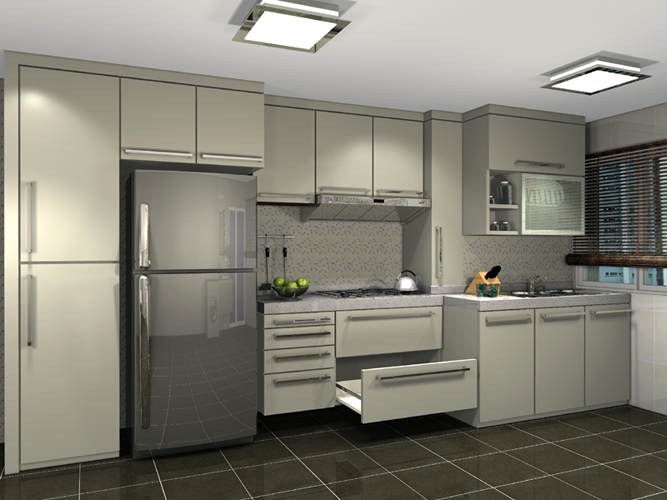 Decide what type of kitchen layout (ex. L-shaped or U-shaped), kitchen island, and style best suits your urban home and your distinct taste. Pick out fixtures, lighting, and colors that match. One of the biggest benefits to remodeling the kitchen, as opposed to working with what was left by the previous owners, is that you can work with designers to create custom cabinets, woodworking, and fixtures that are perfect for the space. Remodeling your urban home does not need to be a lengthy or even expensive process. Work with a talented team of designers to customize a kitchen that meets your particular urban needs. There are so many choices for wood cabinets, that it can be a little overwhelming to find a starting point. You need to consider the natural characteristics of the wood, as well as your own considerations, and preferences. Cherry wood is a popular cabinet choice for so many reasons. It’s generally characterized by its red undertones, but the colour can vary, ranging from white to deep, rich browns. It has a smooth appearance, with a close grain, and uniform texture. The grain means that it can be finished smoothly and cleanly, while the random marking keeps the look of natural wood. Maple Wood tends to range from whites to creams, with some red brown tones. It has a subtle grain which gives it a uniform smooth appearance. The light colour can help keep a light and airy design scheme. Oak has a very distinct grain pattern. The colour is extremely varied. You can find whites, pinks and reds, and there may be streaks of green, yellow, or even black depending on the mineral deposits within the wood. 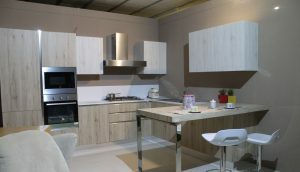 Alder cabinets are light brown in colour, with red undertones. It has a straight and even textured grain, which creates a seamless look between the heartwood, and the sapwood. Hickory cabinets have a contrast between the heartwood and the sapwood, which is caused by the natural differences. Colours can range from whites and blondes, to red browns, and dark browns. Birch has a smooth texture, with a tight grain. The sapwood tends to range from white to creamy yellows in colour, but the heartwood can be medium brown, dark brown, or red brown. Walnut is smooth and has a straight grain. It can range in colour from light red brown, light grey browns, to deeper chocolate colours. It has graceful patterns, and brown hues. Pecan cabinets can be white, blonde, red brown, and even dark brown. It gives a dramatic look due to the heartwood and sapwood. If you don’t want a natural wood, you can choose a compound material instead. They’re very durable, and available in a wide range of colours. Shaker style cabinets are one of the most universal and easy to match cabinet door styles available today. 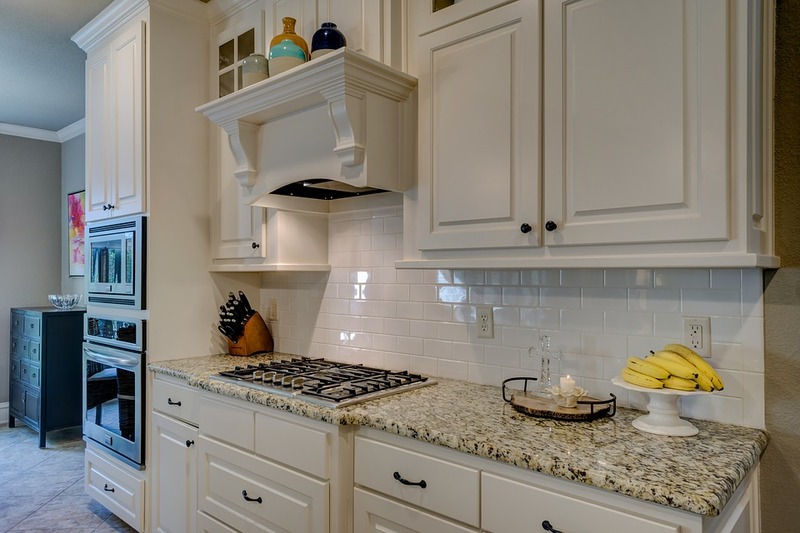 No matter what the design of your kitchen, Shaker cabinetry works perfectly, adding quality and timeless style. What makes Shaker doors work so well, you ask? Let’s look at some of their major benefits. Shaker doors are fairly simple in design – they’re almost flat-panel, only with a slightly raised border. That’s the main part of their appeal, providing a basic and straightforward look, with just enough detail to catch the eye in a pleasing manner. Because of this simplicity, they’re not something that goes in and out of style; they match well with very traditional looks or very modern ones. That makes them great for timeless kitchen design, and you can rest easy knowing your cabinets won’t look dated in 10 years. Shaker doors allow for a wide range of design choices when it comes to coloring. On the one hand, they take paint and colored laminate very well, and can be painted in a wide variety of colors to match your overall kitchen design. On the other hand, when you use high quality wood, you might want to show that off – and the broad panels of Shaker doors are great choices for wood stains, allowing the natural wood grain patterns to stand out. The more detail and ridges you get on cabinet doors, the more cleaning you need to do. These design features trap dust, grease and debris, and can make cleaning a nightmare. Shaker doors, on the other hand, are very simple. A quick wipe-down will clean a Shaker door with minimal effort. Because Shaker doors are relatively simple to construct, they won’t blow your budget like more ornate styles would. In addition, because of their timeless look, you won’t feel the need to replace them any time soon, further stretching your design dollar. Bertone Woodworking is the top custom cabinetry and kitchen contractor in the Greater Toronto Area. We know that the kitchen is the key, central part of your home – and that it requires the extra special care and attention that such an important part of your home, to boot! We take this philosophy seriously, and strive to perform with that care and attention in all aspects of our business. That’s what you can expect when you work with Bertone Woodworking, from the initial consultation through to the completion of your project. Right from the initial consultation, we’re working to make your experience as helpful as possible. We’ll listen and discuss your goals, and present you with a variety of options to help make them a reality. We’ll make recommendations on the best way to do things, using our years of experience, and help you make the final decision on what plan of action to undertake. This comes with a fair price quote – a competitive price on both materials and service, so you know you’re getting a great deal on our excellent handiwork. Once we’ve come to an agreement on the plan, the job gets turned over to our expert installation team. We know that the having contractors in your home is a disruptive experience, whether you are simply installing new cabinets or radically redesigning your entire space. We strive to make the entire experience as hassle-free and convenient as possible, with quality work done in a reasonable amount of time. We make sure to keep the lines of communication open during this process to help ease stress, as well – that lets you ask any questions you may have, and allows us to communicate any important details to you, so everyone is always on the same page with what exactly is going on. Once the job is completed, and the final cleanup has been performed, that doesn’t mean that’s the end of our working relationship. We will answer any final questions you may have, and guarantee that you will be satisfied with the end project. From start to finish, Bertone Woodworking is committed to making sure that our working relationship is a great success. Planning on finally giving your kitchen a long-needed upgrade? Then you need to decide on how to get the perfect kitchen cabinets for your home! Bertone Woodworking offers custom cabinets of all shapes and sizes, so we can help your dream become a reality – once you figure out what your dream is! 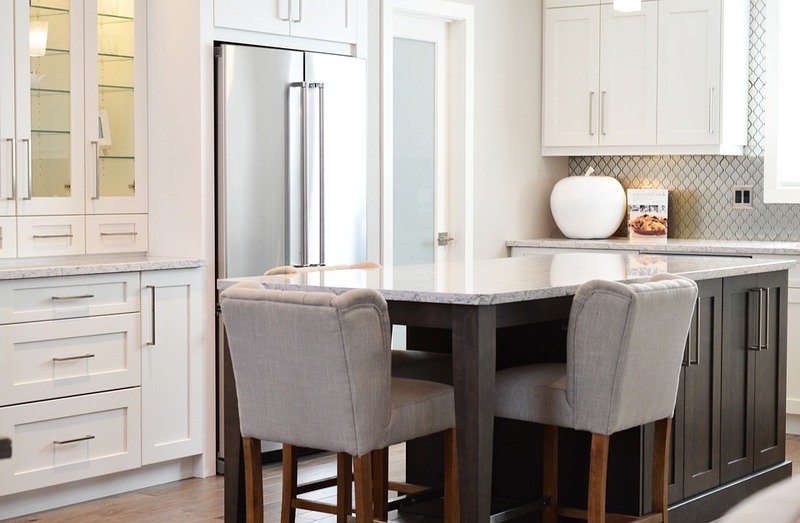 Picking the perfect kitchen cabinet for your home is more art than science, but there are still tips we can give to help you make the process smoother. Here’s how we recommend going about making your kitchen cabinet selection. The door is the front-facing part of your cabinet, and is the defining style trait you’ll be seeing day in and day out. Therefore, you should design your cabinet from the door in. You’ll want to decide on what profile you want – whether you want an arch, a recessed square, a flat slab or anything in between – as well as the general style you’re looking for. That will help you make the right decisions throughout your kitchen cabinet selection experience. Once you know the basic shape and design of your cabinet, the next step is to pick the wood that will best match. The proper color and finish might differ depending on your choice of door design, as well as the other elements of your kitchen. Our expert designers will help make sure you pick a wood that best matches your needs. Now that you know how you want your cabinets to look, the final step is to decide how you want them to work. Your cabinets are storage space and organizational tools; building custom cabinets allows you to design your workspace from the ground up. Do you want open shelves or closed drawers? Would a pantry pullout be beneficial for you? What about an appliance garage? Think about how you use your kitchen, and what sorts of cabinets would make your life easiest.